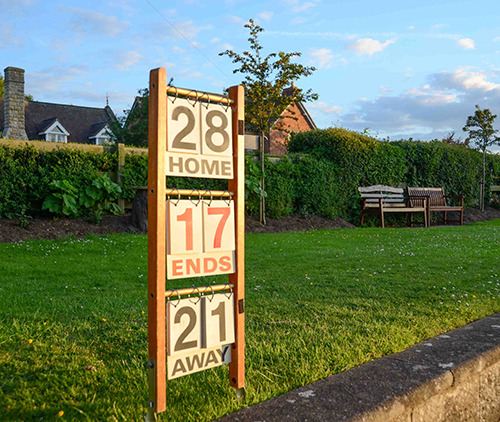 Bredon Bowling Club is open to all ages and is a great place to meet, socialise and play bowls at all levels - from beginner all the way up to county standard. Bredon Bowling Club is open to all members all year round. During the bowling season (April - Sept.) most social activities are connected to the various matches and include raffles and competitions etc. Other social events, throughout the rest of the year, include Bingo nights and Burns nights alternating with Irish nights. And the famous Race nights during the "closed" season. We also organise an annual tour. You don't have to play bowls to join in - a social only membership is available too - so why not get in touch? We have a variety of regular matches for all skill levels - these include Monday League (mixed triples), Tuesday Men's Triples (A & B teams) league matches and the Concorde League. Coaching sessions for new, and potential members, take place throughout the season on Monday evenings starting at 6.00pm and on Tuesdays starting at 2:00. Out of season we organise indoor carpet bowls matches and the bar is open Sunday lunchtimes and most evenings. Bredon competes in a number of leagues and our players often are on county duty too. We also regularly host many touring sides - including the Leicester Tourists who have been visiting us for 25 years! There are also many opportunities for friendly competition against other clubs in the Worcestershire , Herefordshire and Gloucestershire areas as can be seen in the fixture list on this web site.